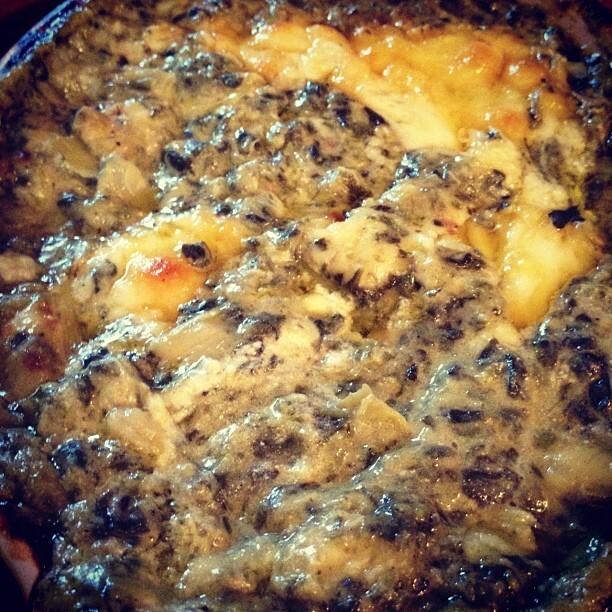 A Pizza Pie. 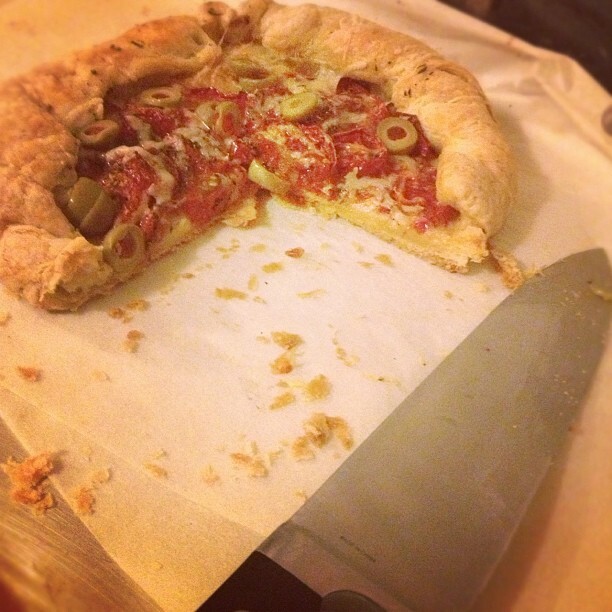 Leftovers from a late pie night. 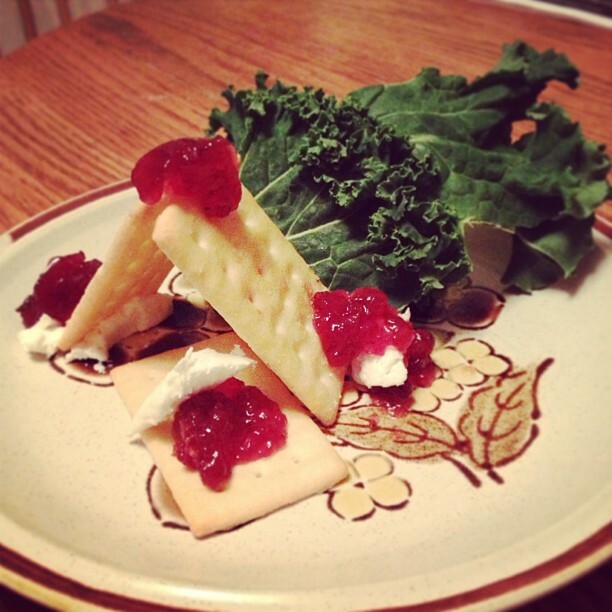 Club Crackers topped with Goat Cheese & Lingonberry jam, served alongside a big floofy bit of kale. 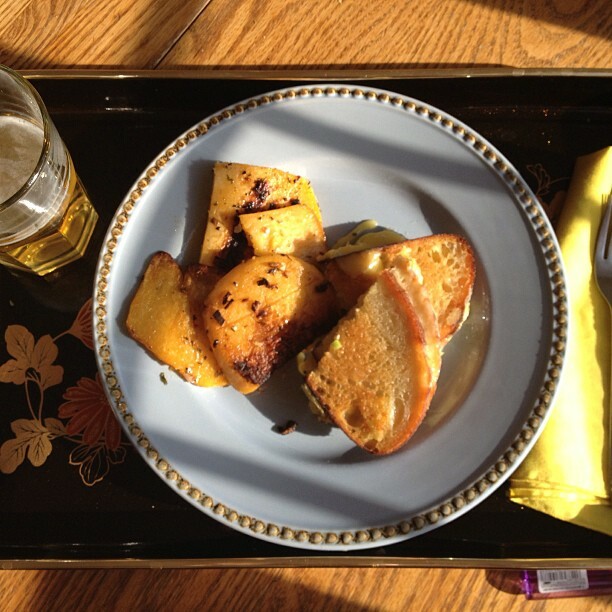 Rutabaga and Grilled Cheese. 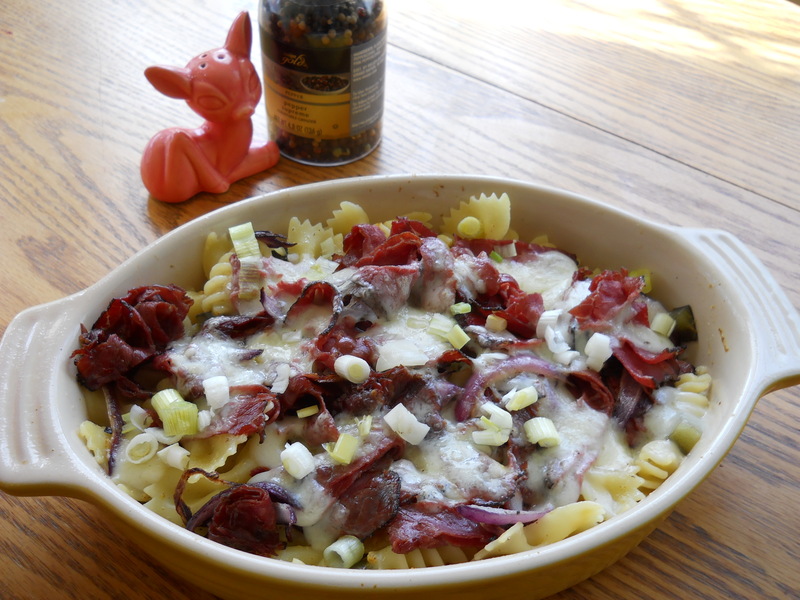 I remember that I ate this because everything was yellow. 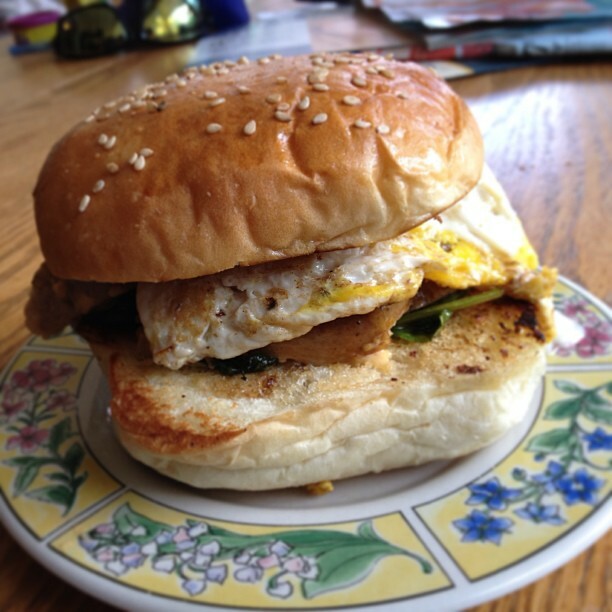 Post Mitten-Fest Hangover Bagel Sandwich. 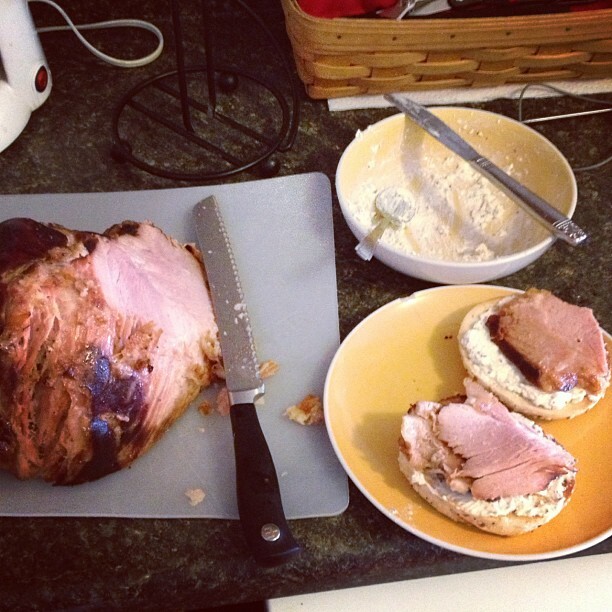 Ham basted in pickle brine & a horseradish cream cheese. 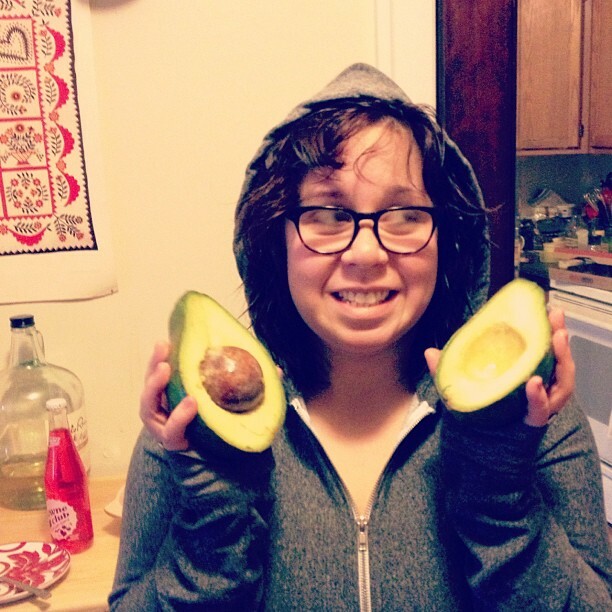 This is my roommate Gabbie holding a giant Florida Avocado.